Open Source has come a long way. January of 2009, I decided to get my daughter a laptop for her summer writing workshop and I wanted to go with Ubuntu if possible. Here's what I found. Note that all of this info applies to a January 2009 vintage Inspiron 1525, and that things might change substantially in the future. Buying from Dell is a little tricky. You can get an Ubuntu laptop straight from Dell, but it costs more than the equivalent Windoze Vista laptop, and you don't have Vista to fall back on. Then, if you do shop for a Vista laptop, depending on how you go through Dell's website, the price can be wildly different. It pays to try configuring your system through different paths to see if you can get a better price. It also pays to search for Dell coupon codes ("e-value" codes). I found one that saved me an extra $150, and brought the price down to $706 including some minor upgrades and two carrying bags. Of course, shipping and tax brought the total up to nearly $775. Ouch. If you plan on running Linux, make sure you get all Intel hardware. I switched out the Dell wifi card (probably Broadcom which isn't well supported by Linux) for the Intel wifi card. 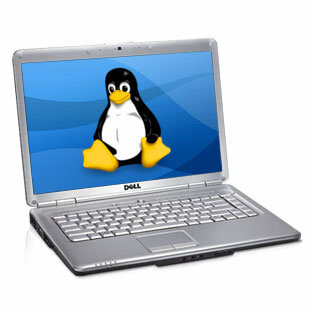 The Inspiron 1525 also comes with Intel's video interface which works perfectly with Linux. 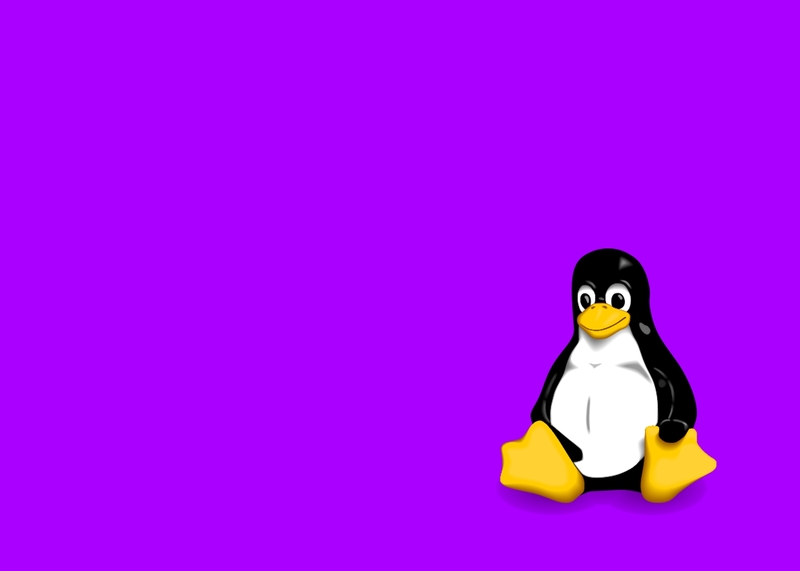 With all Intel hardware, Linux has no trouble at all. Finally, the i1525 touchpad is awful. I've used other touchpads that worked fine. This one is garbage. To be safe, I recommend adding a mouse to your order. There are forum postings that show how to make the touchpad work a little better by changing settings for the synaptics driver ("man synaptics" for more). However, it's still useless after this. It seems to lose the fact that it is being touched at random times. Maybe in a few years Dell will offer a replacement part that will fix the problem, but for now, forget about it. There are many posts on the Internet detailing this issue both in Windows and Linux, so it is a known hardware issue. When it arrived, the hard drive was chock full of garbage, as usual. In addition to the Vista partition, there was a recovery partition and an incredibly buggy and useless Dell MediaDirect partition. After fiddling a bit with these partitions, I finally decided that the best policy would be to remove them all and start from scratch. I started by installing a 40gb Vista partition (Just in case Ubuntu doesn't work out. So far, Ubuntu has been great. ), then a 10gb backup Ubuntu 8.10 partition, and finally the main Ubuntu 8.10 partition. Installing in this order avoided all sorts of configuration problems, and the system came up without a hitch. For more info on setting up Ubuntu, see my Ubuntu Tips page. Used schtickers.com to make a sticker to customize the case. Went with a 14" x 10" image at 120dpi and that appears to have printed perfectly with this service. Click on the above image to get the full size version. Used the GIMP and the tux.svg vector graphics image to generate this. 8/7/2009: Wireless networking with the Intel wireless card is flawless. When I put the order together, I made sure I selected the Intel card as my understanding was that the stock Dell cards are Broadcom and these can require "ndiswrapper" and the Windows driver (not good). However, it does look like Broadcom is beginning to support Linux, so things might be a lot better now. There is a physical wireless cut-switch on the right side of the i1525 toward the front. This is explained in the Dell Setup Guide. The easiest way to get up and running is to just turn that switch on (push it toward the back of the laptop) then boot the machine. If you're already booted, turn on the switch, then disable/re-enable wireless by right-clicking on the Network Manager icon next to the clock in the upper right corner of the screen. Then select "Enable Wireless" to uncheck/disable wireless, and select it again to re-enable. Next you need to pick a wireless network to connect to from the list that can be found when you left-click on the Network Manager icon. After the connection process completes (the icon will animate to show that it is working), you should be online. Note that the bars in the Network Manager icon become blue when all is well. For scanning the available wireless networks, kismet is a good tool. It's a little tricky to configure, but the README is helpful. The webcam suddenly started working with cheese in Ubuntu 10.04. Didn't work in 9.04 and prior versions. Didn't really want the webcam, though. It came with the Dell e-value code that I found. After a while, the "F" key got "stuck" on the keyboard. It would not press down. You had to press really hard to get it to do anything. I ordered a new keyboard for $15 (including shipping!) on ebay and it was a piece of cake to swap out. Then with the broken keyboard out, I was able to gently pop off the "F" key (using two plastic knives, one on either side, prying gently, with a piece of plastic over top to catch the flying key). The plunger underneath seemed fine, so I carefully replaced the key cap, and the "F" key was fixed. Replacing the key cap is indeed a bit tricky. Examine the bottom of the key carefully. You'll see that there are four places where it snaps into the board. The top two go in first and they are easy. Then you have to gently slide the key up and down to different positions, then press until the bottom two hooks grab the right portion of the mechanism. Study it carefully and it will be obvious. Now I've got a spare keyboard for the next time something happens. So far, so good. A little bit of struggling here and there, but eventually all was well. The only disappointment so far has been the touchpad. The touchpad on my i5150 works great. I use it all the time with no trouble. The touchpads on all the HP laptops at the CostCo work great. The touchpad on this i1525 is a real pain. We bought a cheap wired mouse it was so bad. If we would have known, we would've added a wireless mouse from Dell to the order (or maybe found another model with a working touchpad). In three years, I'll order a replacement touchpad and see if that clears things up. I've heard they are still shipping these defective touchpads, so I'll give it some time to settle. Vista Partition - Vista needs its usual plethora of drivers installed in order for it to work (Ubuntu is so nice in this regard). Have to get all those installed along with OpenOffice.org and Firefox so she can use the things she's used to. Not sure I'll ever get to this, though. So far, Ubuntu is perfect. It's not likely she'll ever need Vista. Ubuntu - The most popular version of Linux.